On the way to the Giant Tingle Tree, why not stop and soak in the view at Hilltop Lookout. 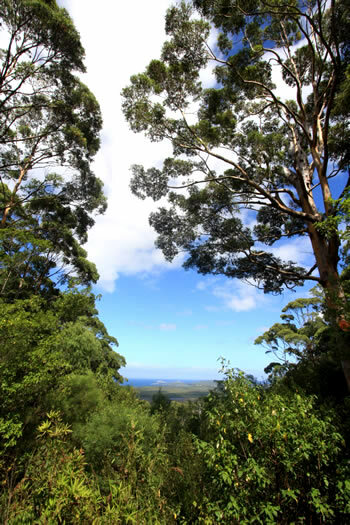 Walpole - Nornalup National Park is filled with Tingle and Karri trees of the Southern Forests. Hilltop Lookout is on Hilltop Road, just east of Walpole. 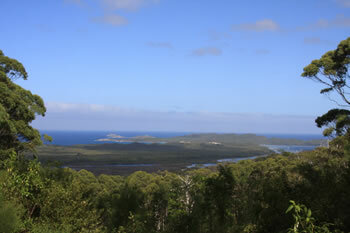 The lookout overlooks the Nornalup Inlet and the Frankland River. Rocky Head and Saddle Island can be seen in the distance. 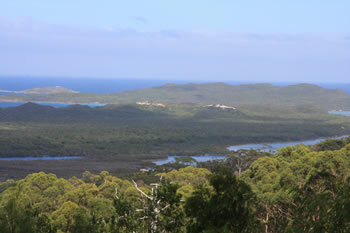 The view from Hilltop Lookout over the Walpole and Nornalup Inlet is amazing. Average stop time: 5 minutes (on the way to the Giant Tingle Tree and Circular Pool). Head east out of Walpole, turn left at the sign for Hilltop Lookout, Giant Tingle, Circular Pool.